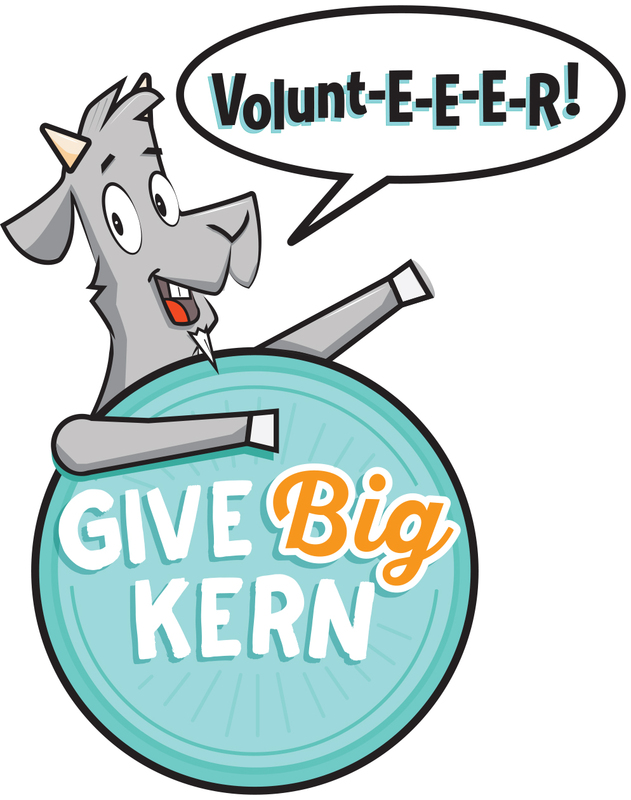 Volunteering is another way of giving through Give Big Kern! Did you know that according to Independent Sector, a national membership organization that brings together nonprofits, foundations, and corporations to advance the common good, the value of a volunteer hour in California exceeds $29?! That’s right: That’s how much your volunteering is worth to a nonprofit in Kern County needing your support—because there are other ways to help besides monetary donations. Your time and skills are valuable! What’s your passion: people in general, children and youth, seniors, animals, nature, advocacy, preventing disease or hunger or poverty or homelessness or domestic violence? If you aren’t sure which agency you want to volunteer with, no problem, the Volunteer Center of Kern County supports ALL the nonprofits with their volunteer needs and provides a variety of assignments for those wanting to give back to the community. So, what are you waiting for? Give B-i-i-i-g by volunteering! Complete your Volunteer Application Starting April 7!